Egypt will build a memorial for the Mexican tourists who were mistakenly killed by security forces last year, Reuters reported. The decision comes as part of a compensation agreement the Egyptian Travel Agents Association (ETAA) reached with the families of the victims. 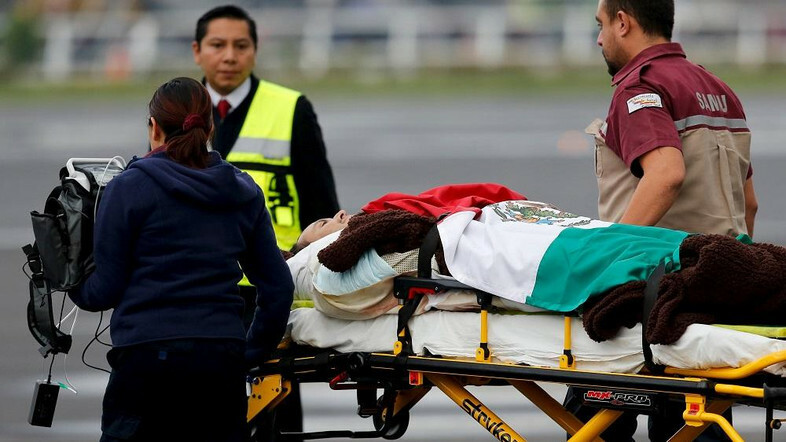 Although Mexico’s foreign ministry said that the victims’ families would receive financial compensation for the incident, it did not disclose any figures. Eight Mexican tourists and four Egyptian guides died after Egyptian security forces opened fire on four SUVs that were navigating the Western Desert on their way to Bahariya oasis in September last year. The tourist convoy was bombed from air by military helicopters and aircraft. It was one of the deadliest attacks on foreign tourists in Egypt in years. Egypt’s Ministry of Interior said that military and police forces had been conducting security operations in El-Wahat (Western Oasis) in the Western Desert. After opening fire, security forces discovered that the four vehicles were civilian. The vehicles had, according to the interior ministry, been in an area prohibited to civilians due to the dangerous security situation. In May, officials announced that the federation of Egyptian tourism agencies had compensated the families of three out of the eight victims USD 140,000 each as part of a preliminary deal in exchange for the families refraining from suing Egypt.